Welcome to the kiddieGRAND – Children’s Daycare Center located in Dublin, Ohio. Inside you’ll find a warm and unique environment where education and intergenerational learning go hand-in-hand. Our number one goal at the kiddieGRAND is to provide your child with a safe, loving, and secure environment that promotes learning and fun! Our curriculum and intergenerational activities along with opportunities for outdoor and free play give your child the best chance to learn and grow in a flexible and diverse setting. 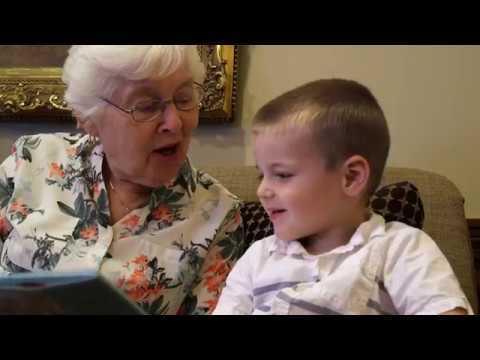 At the kiddieGRAND, both children and residents are able to experience the one of a kind benefits of learning in an intergenerational environment. Research has shown that intergenerational learning can provide a variety of benefits to everyone involved. Not only do residents benefit from these interactions, but the children do as well! Children who participate in intergenerational activities have been shown to have enhanced social skills. They have lower levels of aggressive behavior, improved academic performance. Students also develop a new found understanding and acceptance for those with disabilities. Want to learn more? Click here to schedule a visit to the kiddieGRAND.